Police Commissioner-General Godwin Matanga, who admitted in Parliament yesterday to selective application of the law by members of the police force, said they required at least $3,6 million for rigorous training and rebranding for them to shed off their image as a brute and corrupt force. The police chief had appeared before the Parliamentary Portfolio Committee on Defence and Home Affairs chaired by Levi Mayihlome, together with Home Affairs ministry secretary Melusi Matshiya, where he nearly went into a verbal spat with MDC Alliance legislators when he mentioned that rebranding was required in order to avoid incidences such as what happened last week when opposition legislators were ejected from Parliament in an undignified manner. He said $95 million would be needed for patrols next year, adding that the $700 traffic fines must be upheld because there were many traffic infractions by motorists, particularly kombi drivers. “There was a promise that ZRP would get $65 million for 2019, and I had also submitted to the Finance ministry that I needed about $3,6 million for the whole of 2019 because I am not happy right now with the performance and attitude of my police officers on the ground,” Matanga said. Asked by Manicaland Senator Douglas Mwonzora (MDC Alliance) to explain if he wanted rebranding of the police because of their perceived role in corruption, selective application of the law and partisanship, Matanga said there was need to engage in discussions with the opposition. “Yes, it is said there is selective application of the law, but in the latest incident that happened in Parliament – I do not think MPs would stoop that low,” Matanga said. This angered MDC Alliance MPs, resulting in Budiriro MP Costa Machingauta (MDC Alliance) pointing out that police had no business entering Parliament. Chairperson of the committee Mayihlome said the matter must not be discussed as it had nothing to do with the budget. He said there was need to also ensure that Zimbabwe had a computerised national command and control centre to monitor streets, banks, supermarkets and different places using drones and cameras. “If I am given this facility, you will all smile in terms of the ZRP,” he said. 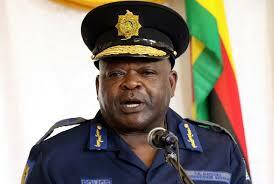 Matanga said the police require a vehicle fleet of 7 000, but currently has 2 500, most of which are old. He admitted that some police officers were corrupt, adding that as long as they continued to be underpaid, it would be difficult to control corruption.